I remember it all as if it was yesterday. My first journey from Poland to United States for Macworld in 2011. In the media room I sat at the big round table occupied by a group of bloggers. Soon I realized that those guys were from TUAW (The Unofficial Apple Weblog), one of my favorite blogs about Apple. As a Polish Apple blogger I read many other blogs in English, and one of the first I spotted was TUAW. Sitting at the big round table I was thinking about all of us as a big community of passionates. There was one thing to do — to introduce myself to those guys. That went almost seamlessly thanks to the Woz signature on my 13-inch MacBook Pro that drew their attention. It was then that I met Dave Caolo and Steve Sande, two editor/bloggers at TUAW. Later, I got together with Steve every year at Macworld until the event was suspended. 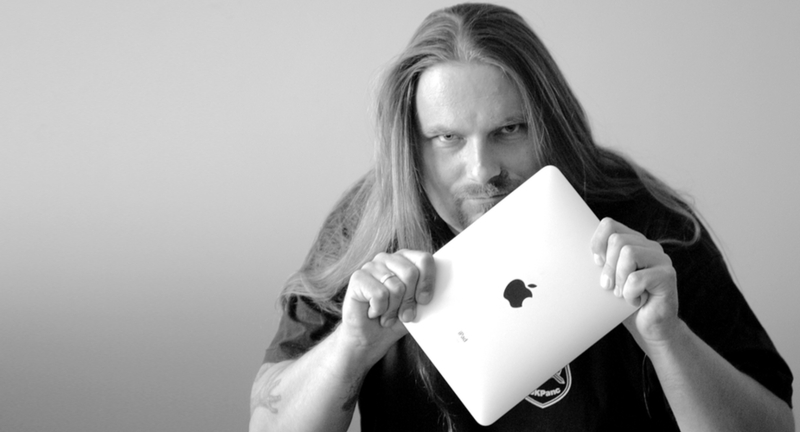 Over those years I became editor-in-chief of the leading and the biggest Polish Apple Users' website - MyApple.pl. After TUAW shared the fate of Macworld (the site was shut down in February of 2015), Steve has started his new site - Apple World Today — to carry on the old traditions of TUAW and explore new directions. About six months ago MyApple launched a digital magazine for Polish Apple users. I invited some new and old friends, including Steve, to participate in that project. The feedback we got after release of each issue was dominated by the opinions and suggestions that we should release it in English as well. So we decided to do so. "Do. Or do not. There is no try" as Yoda said. Here we are. Welcome to MyApple Magazine.